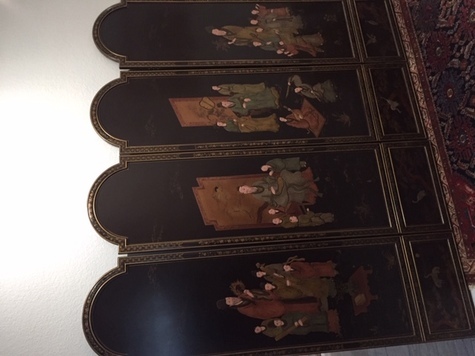 4 Panels with hinges Asian antique. Beautiful decoration piece. Each panel is 20" w x 72" high. Can be used individually. Total cost $400.